United Country Colorado Brokers & Auctioneers, was founded by auctioneer and managing broker Gary Hubbell, a native of Carbondale, Colorado. Formerly a fly-fishing guide, wilderness outfitter, and outdoor writer and photographer, Gary found that his skill set was ideal for ranch and real estate brokerage. From his new hometown in Crawford, Gary based his business to serve the North Fork Valley communities of Hotchkiss, Paonia, and Crawford. However, UCCB serves a much wider geographical area. "I don't want to just serve the towns in a 20-mile radius from my office door," Gary says. "If the project makes sense, I'll take the listing, no matter where it is," he explains. "My license says 'State of Colorado', and I'm licensed in Utah, too. There are some nice Utah properties that don't have access to good national marketing programs, until now." We list and sell properties in all parts of Colorado--and beyond! Accordingly, UCCB has made sales in all corners of Colorado. In the far northwest corner near Dinosaur, UCCB brokered a large parcel of mountain hunting land. 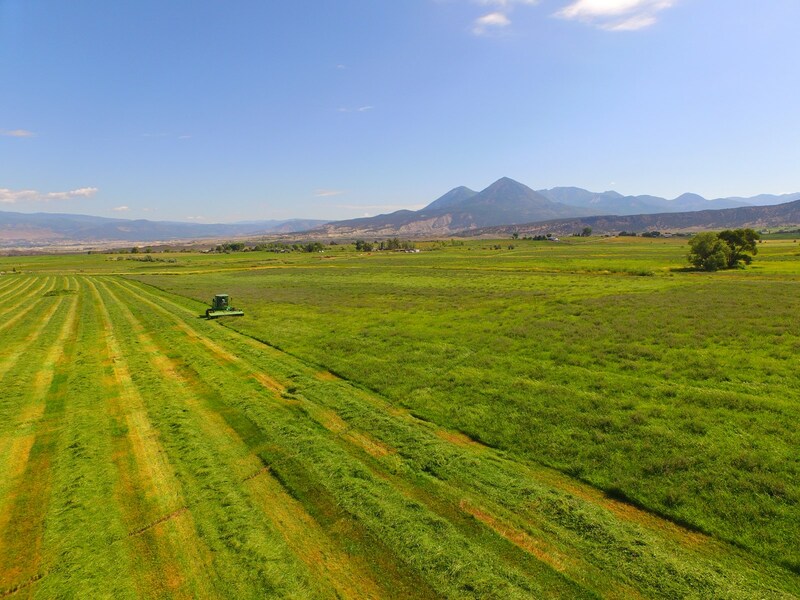 In the far southeast corner, Gary listed and sold two hay farms in Rocky Ford and La Junta. In the southwest corner near Durango, Bayfield, and Cortez, Gary has sold resorts, outfitting businesses, and even an auto body shop. Of course, there have been many sales in between--ranches, outfitting businesses, horse properties, luxury homes, riverfront property, vacant land, mountain cabins, log homes, and country estates in places like Aspen, Telluride, Snowmass, Marble, Meeker, New Castle, Collbran, Glade Park, Grand Junction, Montrose, Cedaredge, Norwood, Creede, Delta, Granby, and Bayfield. Recently, UCCB has made inroads in Utah, with some very interesting ranch and recreation listings. We invite you to contact United Country Colorado Brokers & Auctioneers of Hotchkiss Colorado. We can save you time and money in locating real estate throughout Delta County and surrounding areas of Southwest Colorado. We offer a fine selection of homes for sale, farms, ranches, mountain property, recreational property and businesses for sale. We are building a team to cover the best towns in Colorado. Gary is experienced statewide and has particular expertise in the North Fork Valley towns of Hotchkiss, Crawford, and Paonia; Cedaredge and the Surface Creek Valley; Delta, Olathe, & Montrose; and his hometown of Carbondale, Glenwood Springs, and Aspen. Gary is also licensed in Utah, and is a member of the Wasatch Front Range MLS. Jake Hubbell is based in Gunnison and Crested Butte, and also works mountain land and remote parcels across the state. Mike Gerbaz is a very experienced broker based in Aspen. United Country is the only national franchise system specializing in real estate throughout the small towns and cities of rural America. With 600 offices nationwide, over 4,500 real estate agents, and 289 auctioneers, United Country can help you buy and sell real estate all over the country, as well as Mexico, Panama, Costa Rica, Australia, and China.